Slack, the popular Vancouver-based business communications company, has successfully raised a new $160 million round, which values the business at $2.8 billion. The investment includes a number of heavyweights, such as Horizons Ventures, Digital Sky Technologies (DST Global), Index Ventures, Spark Capital, and Institutional Venture Partners (IVP) with the participation of past Slack investors including Accel Partners, Andreessen Horowitz, The Social+Capital Partnership, Google Ventures, and Kleiner Perkins Caufield & Byers. Previous speculation had the company expected to be valued at 2.6 billion, with rumours that co-founder Stewart Butterfield would step down from his CEO role. This latest round follows a $120 million raise in October and brings the company’s total investment to $340 million. The company now has 750,000 daily active users, with 200,000 being paying customers. 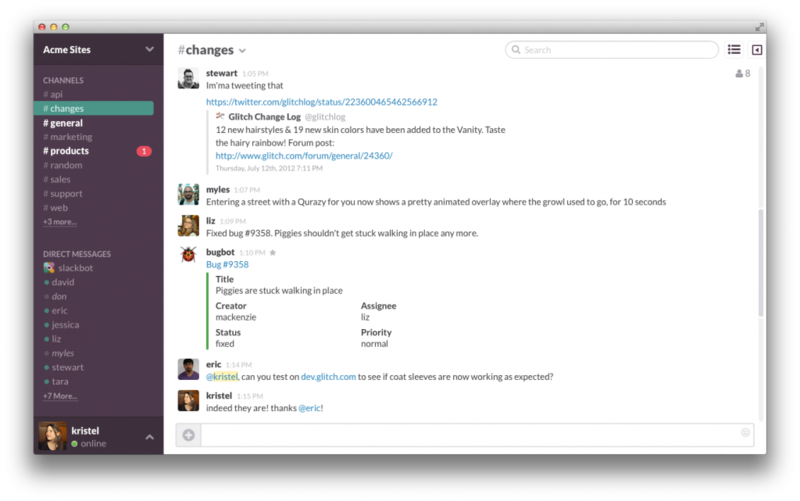 Less than a month ago, as Slack was celebrating its first birthday, the company announced it was at 500,000 daily active users. Butterfield is the Canadian entrepreneur who previously founded Flickr, which was later sold to Yahoo in 2005 for a reported $35 million. Slack was built by Butterfield’s Tiny Speck, a Vancouver-based computer game startup founded in 2009. Most of the leadership at Tiny Speck came from Ludicorp, the company that built Flickr. “We take a very long view of both the opportunity before us and the company we want to build. We’re still at the beginning of a major transition in how people communicate and work together,” Butterfield said in a statement.